The Sidhil Serenade 2 Dynamic Cushion System is a variable pressure air cushion complete with pump and control unit. 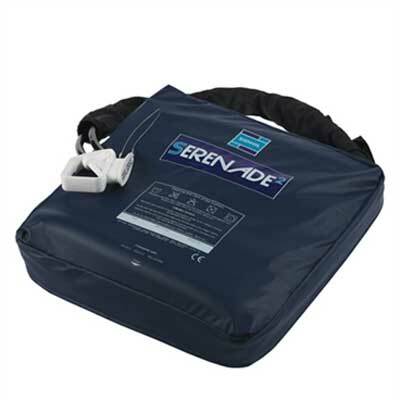 The Sidhil Serenade 2 Dynamic Cushion System is a variable pressure air cushion complete with pump and control unit. The 2 cell alternating pressure cell cushion can provide relief for patients who have a medium to higher risk of pressure damage. The power unit has a low pressure alarm and adjustable comfort control. The cushion cover is vapour permeable PU coated two way stretch fabric, incorporating sealed seams and a covered zip. For medium / high risk patients - Please seek professional advice and assessment.